In order to understand why the FYW S-97 is such an important shoe in adidas’ history, we need to take things back to 1997. Back then, most silhouettes were utilising square-cut soles – this meant shoes weren’t following the natural contours of the foot, leading to pesky ankle rolls from overpronation. 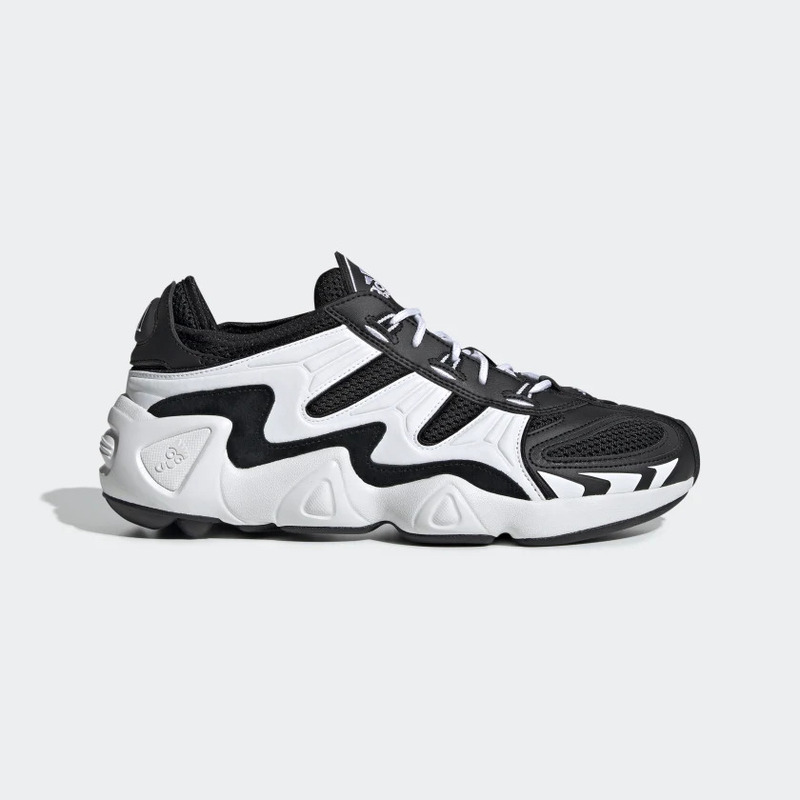 adidas’ inspired solution came in the form of the trailblazing Feetyouwear technology: this meant the sole unit on the FYW S-97 was lower to the ground and curved upwards to contour to the natural shape of the foot. What’s more, an Adiprene insert and a lightweight EVA midsole were embedded within the sole unit to provide runners with even more shock-absorption – highlighting just how ahead of it’s the FYW S-97 really was. This season the legendary runner returns – packed with all the same tech which made it such a hit first time around. Dressed up in two distinctly vintage colourways, each pair dons leather and mesh uppers, accented with vibrant pops throughout. Underfoot, a midsole – combined with Feetyouwear, Adiprene and EVA technology – also boasts a Torsion Stabilising system. 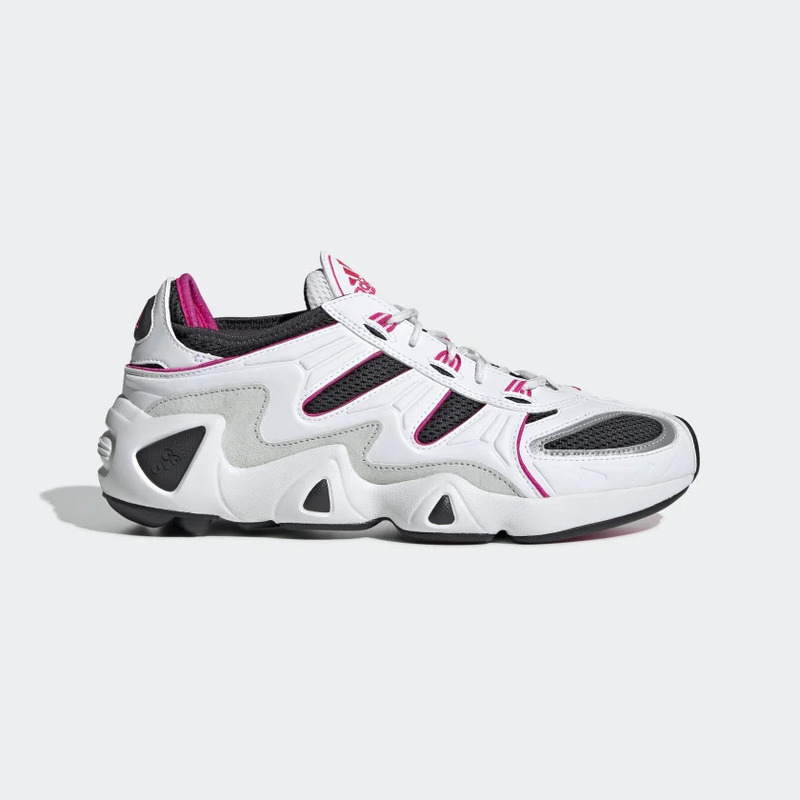 First seen in 1989, Torsion’s TPU arch connects the rearfoot all the way to forefoot, robustly supporting the midfoot and allowing each part of the foot to move freely from one another without putting a strain on it. Rounding the silhouette off, adidas Equipment branding decorates the tongue for even more retro flavour. adidas Originals’ FYW S-97 will available via the size? previews app and in size? stores on Wednesday 17th April, priced at £110 and available in men’s and women’s sizes.